As one of the most treasured and biodiverse marine environments on earth, the Maldives are a draw for nature lovers and adventure chasers alike. Here’s our guide to its unique natural wonders and unforgettable escapades on land and under the sea. Underwater exploration is a must on any trip to the Maldives. 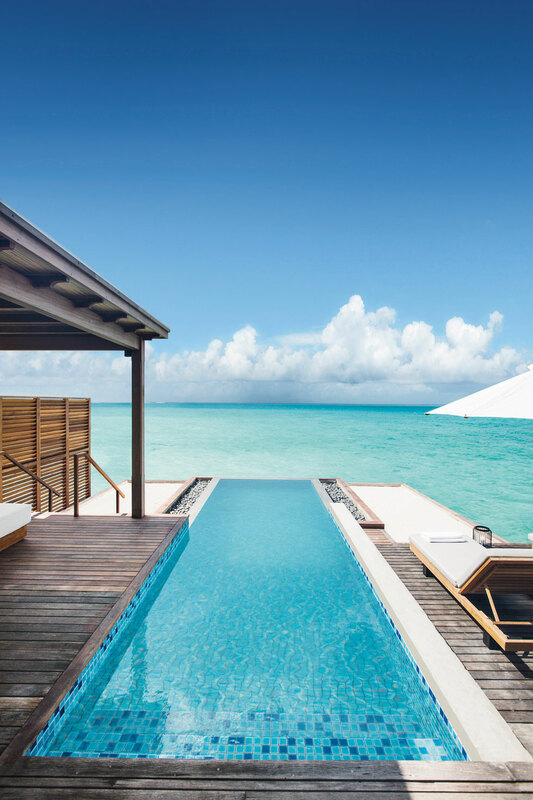 The new Fairmont Maldives Sirru Fen Fushi is surrounded by a pristine five-and-a-half-mile-long (nine kilometer) house reef. Sail along with the resident marine biologists to reach undiscovered dive spots within an hour of the hotel – travel by traditional Maldivian dhoni boat or on the hotel’s private yacht. The hotel’s Shaviyani Atoll is a major turtle breeding ground, so guests can see many green sea and leatherback turtles, as well as dolphins and a kaleidoscope of reef fish. There are many ways to experience art, but in the Maldives you can swim through a unique semi-submerged underwater gallery. Fairmont Maldives Sirru Fen Fushi is home to a stunning new work by British sculptor and environmentalist Jason deCaires Taylor, which brings attention to marine conservation. 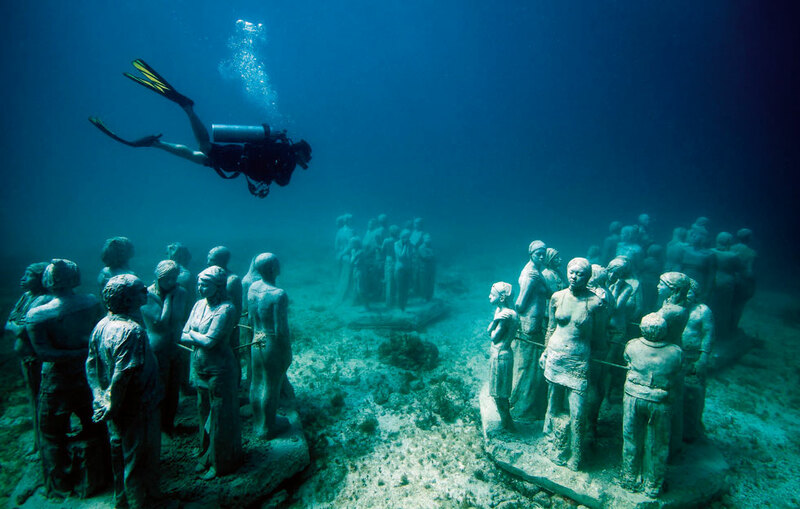 His sculpture starts under water as a coral pathway leading out from the shore towards a large, partially submerged cube and 16 hybrid organic forms. The works are made from a neutral-pH cement that promotes coral growth, and the artist propagated damaged coral fragments, so that a native reef is now growing throughout the living structure. At night, the installation is illuminated and visible from the hotel’s Sunset restaurant. The Maldives are one of the best places in the world to swim with some of the ocean’s most unique creatures. The country protects manta rays by law, and some islands are designated UNESCO Biosphere Reserves – regions that exemplify a sustainable balance between people and nature. Look out for giant manta rays (and even flying mobula rays) that feed on plankton in the hotel’s lagoon. Their graceful movements and gentle nature make them ideal for underwater photography enthusiasts. Divers may even get very lucky and spot a whale shark – the Maldives are one of only a few places where you can swim with these majestic giants. 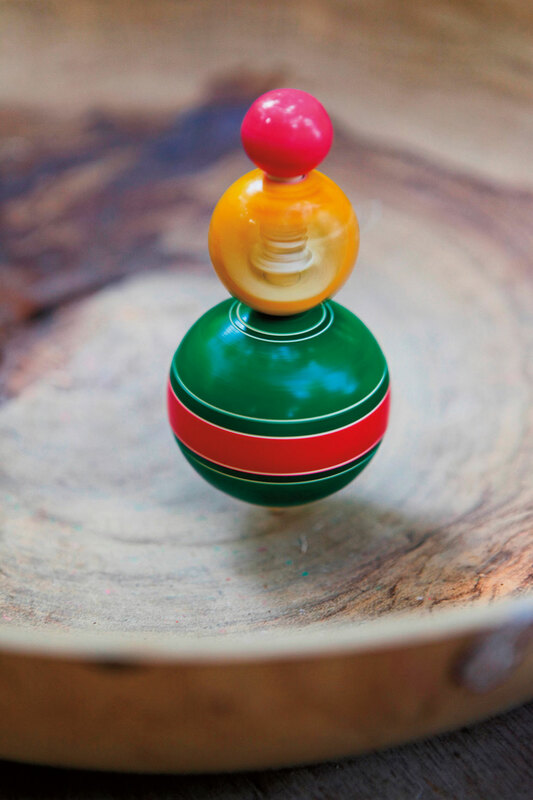 Natural stone and wood are turned into colorful works of art through Maldivian lacquerware carving. Thulhaadhoo (Baa Atoll) is famous for this traditional craft – practiced here for centuries – but the carvings can also be found on the hotel’s surrounding islands. Take a short boat ride to Utheemu Island, considered by many to be the historical and cultural capital of the Maldives, to see the wooden palace, Utheemu Ganduvaru, or shop local markets for lacquerware. If staying closer to creature comforts is more your style, guests can try making their own art in a workshop led by Fairmont Maldives Sirru Fen Fushi’s artist-in-residence. With minimal light pollution and 360-degree views, the island’s sandbanks are a prime spot for stargazing over the Indian Ocean. If more seclusion is what you’re after, book the hotel’s yacht for a nighttime stargazing cruise or a romantic sunset sail alongside a pod of dolphins – guests can even request a chef onboard for a private meal. 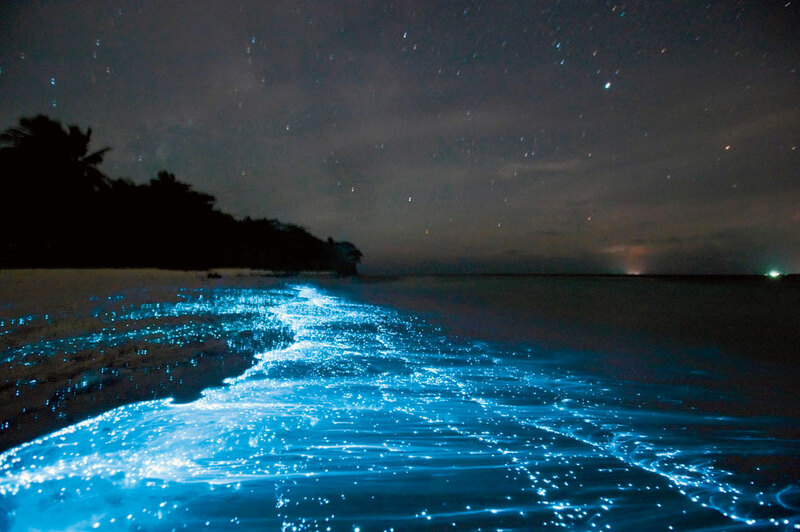 Take a stroll on the powder-soft beaches after dark and you just might glimpse bioluminescent plankton, which become fluorescent when activated by footsteps or the motion of the waves – a natural spectacle that’s not to be missed.